WASHINGTON, D.C. — The Federal Communications Commission is scheduled to vote Thursday on a proposal by FCC Chairman Ajit Pai to repeal the commission’s net neutrality rules that require internet providers to treat all online content and services equally. The five-member commission is expected to approve the repeal by a party-line vote. Consumers Union, the policy and mobilization division of Consumer Reports, is a strong advocate for net neutrality rules in order to preserve the open and competitive nature of the internet for all consumers. 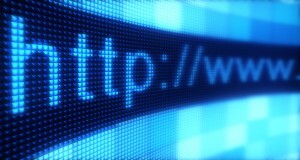 But Jessica Rich, the vice president of consumer policy and mobilization for Consumer Reports and former director of the FTC’s Bureau of Consumer Protection, noted in a recent Washington Post op-ed that there are fundamental questions about the FTC’s authority over internet providers. A long-running legal dispute between the FTC and AT&T could lead to a court ruling that strips the FTC of its jurisdiction over any services offered by a telecom company. A recent nationally-representative survey by Consumer Reports says the majority of Americans support net neutrality rules to prevent internet service providers from blocking or discriminating against lawful content on the internet. The CR survey finds 57 percent of Americans support the current net neutrality rules, while 16 percent oppose them and 27 percent did not state an opinion. The survey shows strong opposition to practices by providers that are prohibited by the rules today, such as the 67 percent who disagree that providers should be able to choose which websites, apps or streaming services customers can access.